Credit Card Processing of HOA Assessments: Good Idea? Associations are required to levy regular and special assessments sufficient to perform their obligations under their governing documents and Ca. Civ. Code §1366(a). Associations may encounter difficulties in getting their members to pay assessments on a regular and timely basis. In response to these difficulties, some Associations are providing credit card processing of assessment payments as a courtesy to their members and/or an incentive for delinquent members to fulfill their assessment obligations while deferring the actual payment. The fees involved in processing assessments by credit card are then sometimes absorbed by the Association. Several Managers and Board members have contacted us regarding the propriety of absorbing these fees. We have prepared an article on this issue which is available for download from our Library. 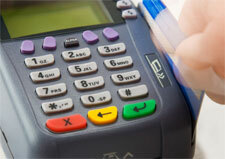 The article is entitled “Absorbing Credit Card Transaction Fees”. In sum, absorbing these fees is problematic because (1) it results in an inequity for the Association’s members that pay their assessments by cash or check and (2) likely violates the assessment requirements of the Association’s CC&Rs. Associations that provide credit card processing of assessments should ensure that the members paying by credit card are responsible for any transaction fees and costs involved. For a more detailed discussion of this issue, click here to read the article.